Theme parks, you either love them or hate them. We normally associate them with roller coasters and water rides which thrill millions of visitors every day. A theme park is usually a hive of activity with screaming kids and adults alike navigating their way from one ride to another. Whilst most of the modern day complexes are as popular as ever, there are some which time has forgotten. 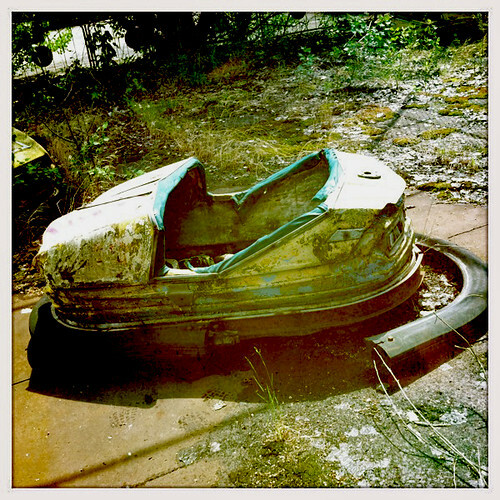 These dilapidated former amusement meccas have become extremely creepy as they lay unoccupied and left to the elements. 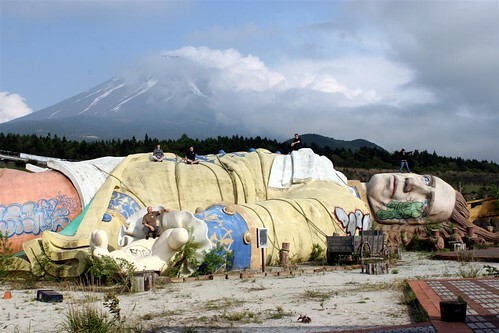 Below we take a look at some of these old theme parks which are shadows of their former selves. 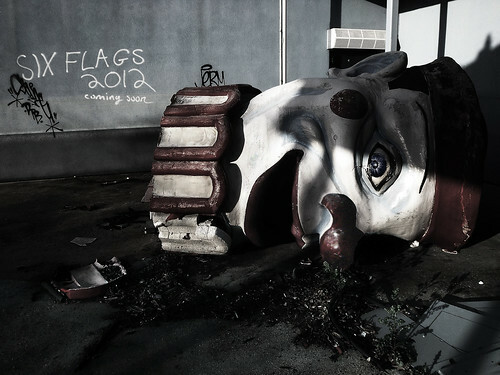 Theme Parks don’t get much creepier than this. 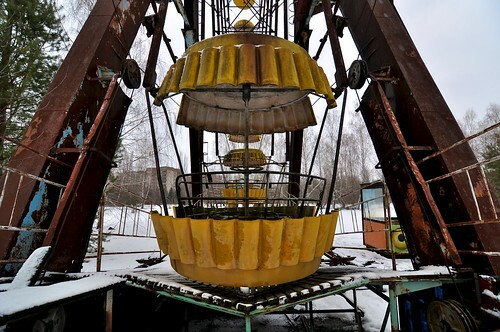 Just one day after the Chernobyl disaster in 1986, this place immediately shut down. The weird thing is it closed down the same day it opened. 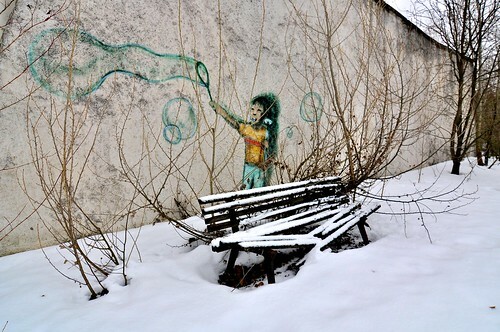 It is as if the whole place has been frozen, which is not surprising since many areas of the site are still highly affected by radiation levels. Even creepier is the fact that there is not a single sole within miles of the place. 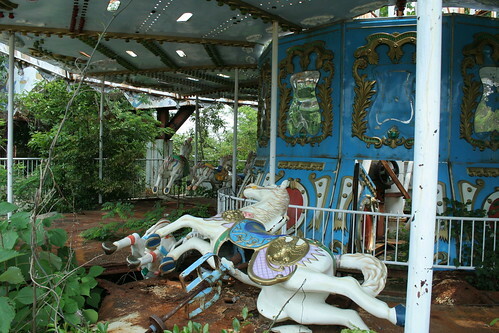 The story behind this amusement park seems to have all the makings of a low budget horror film. 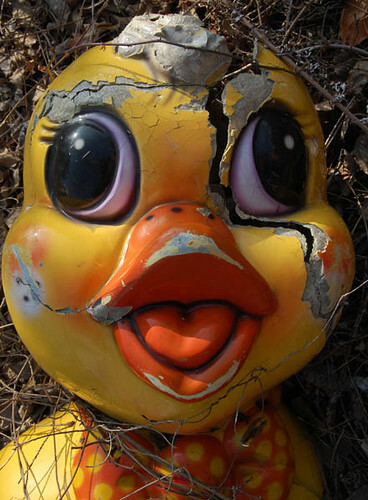 The plethora of fatal accidents which occurred at the park was unquestionably its eventual downfall. 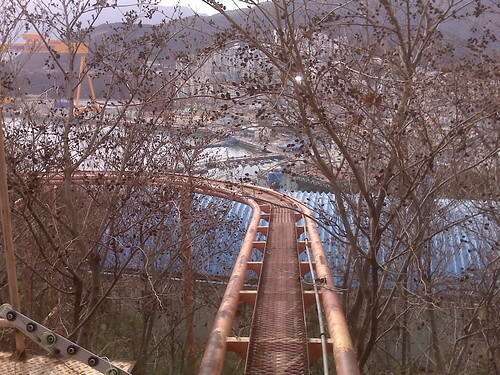 Situated in an intimidating location at the top of a hill on Geojo Island, South Korea, it was the tragic death of a little girl who fell from a ride which cemented its fate. Spookily since the owner shut down the park, no one has seen or heard from him since. 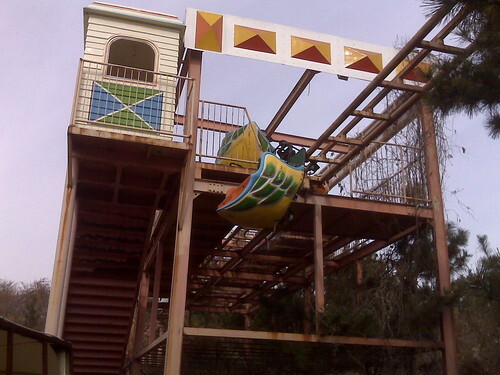 This western themed amusement park was never as commercially successful as the other theme parks in the UK, so it was no surprise when it unfortunately closed its doors for the last time in 2007. The ambience now is one of depression throughout. 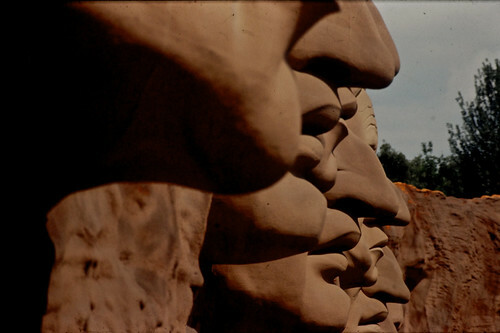 The giant Native American faces in some way seem to show their disapproval. 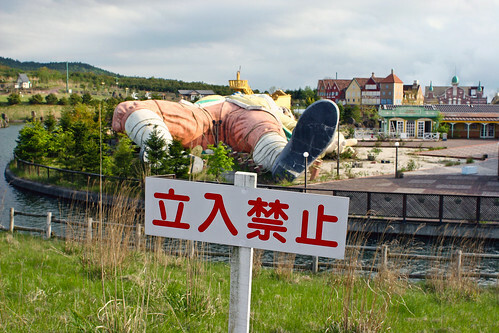 There was a profound and twisted irony with this theme park. A place based on a poplar children’s tale should never have been located in the same village as that of a group of terrorists responsible for a heinous gas attack in Tokyo. It’s also strange when you consider it was also uncomfortably close in proximity to ‘Suicide Forest’. 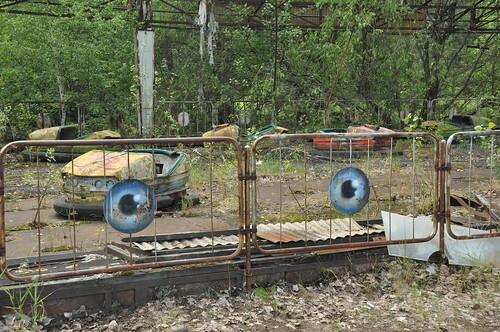 You don’t have to be remotely superstitious to regard this as a rather inappropriate place to bring your kids to. 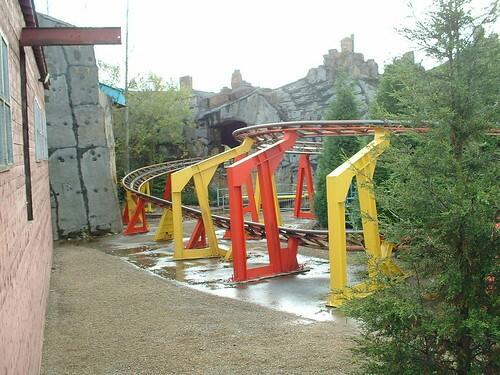 After unsurprisingly low ticket sales, the park closed in 2001 after just four years in operation. 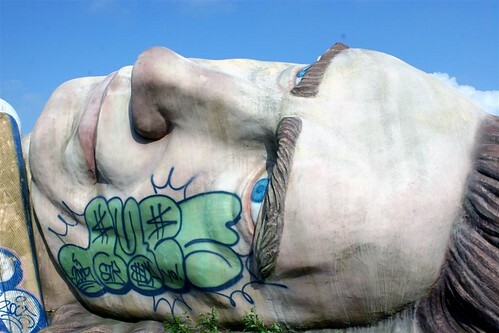 What remains is a giant lifeless figure as the centre point for cameral wielding visitors. Finally, we have the remains of a former theme park in New Orleans which was cruelly taken out by the ravages of Hurricane Katrina in 2005. The plan by the owners to open a water park was brought to an abrupt halt as nature’s own version destroyed much of New Orleans. 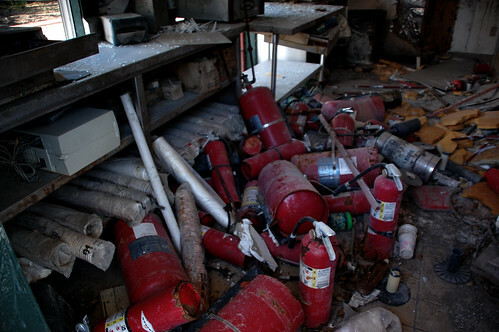 All that is left now is the haunting reminder of shocking devastation! Thanks to Thorpe Breaks – offical partner for Thorpe Park Fright Nights. 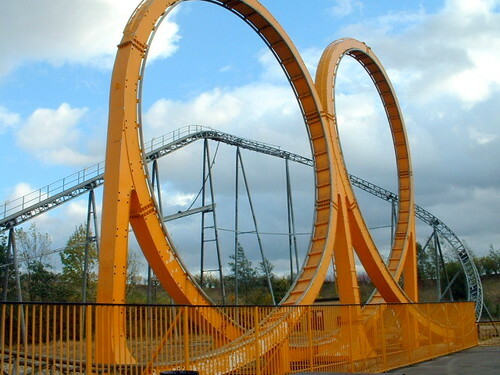 What are your favourite superstitious stories about amusement parks? 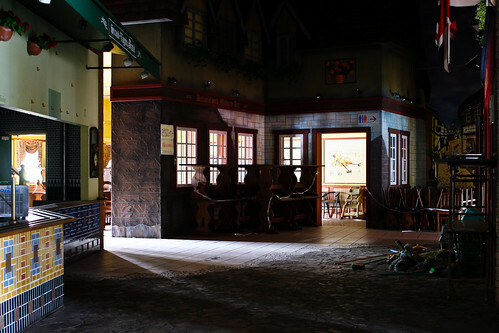 Would you ever spend the night at one of the parks above? Let us know your thoughts.